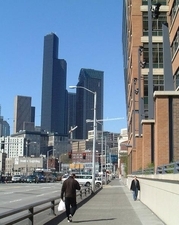 Abeyta & Associates, Seattle real estate consultants, specializes in acquiring property and property rights, right-of-way negotiations, and relocation services. Since 1992, Abeyta & Associates has successfully provided construction-ready properties for the construction of infrastructure and community development. We offer real estate acquisition and relocation services for projects such as roadway improvements, airport expansions, transit services, utility infrastructure, residential and business development, and much more. We serve local, state, and federal agencies, municipalities, engineers, utility companies, and developers. We specialize in helping with acquisition and relocation projects, which have become complicated and challenging in recent years due to stringent environmental requirements and soaring public demands. Our team has provided innovative acquisition solutions for many years and we bring the expertise needed to service your real estate acquisition and relocation needs for projects of any size. Whether your project is residential, commercial or industrial in nature, Abeyta & Associates are experts in bringing buyers and sellers together. And, with our many years of experience, no one knows both the public and the private facets of our industry better. At Abeyta & Associates, we are dedicated to providing our clients with the finest customer service available. Our professionals have the expertise you can rely on to make the acquisition process of any project one you'll remember . . . for all the right reasons! We are eager to discuss your project requirements; so, please give us a call today. At Abeyta & Associates, we're here for you.